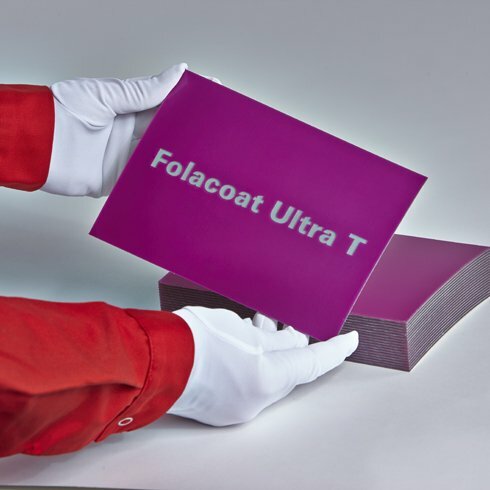 Folacoat Ultra T is a strippable and compressible coating plate which consists of multiple layers. Surface: Pink polymer, recommended for transfer of aqueous varnish and UV- varnish. 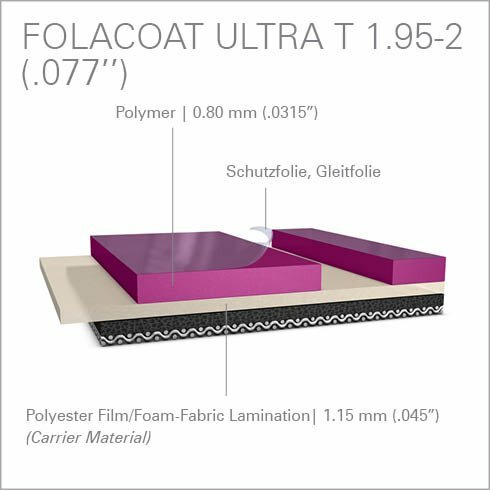 Carrier: Folacoat Ultra T consists of a PET intermediate layer which ensures high dimensional stability. On top: Slipping- / Protection film (ensures the cutting head travels smoothly over the surface). 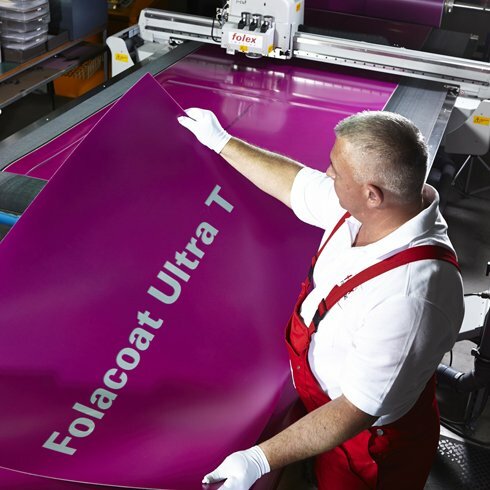 The backside of Folacoat Ultra T is a foam/fabric lamination. Recommended cutting depth: exactly 0.87 mm (.0343”). If you like to remove the slipping film before cutting, reduce depth by 0.05 mm (.002”). The pink polymer should be cut through, without cutting into the polyester carrier deeper than 20 µm (.0008”). Deeper cuts will reduce stability and must be avoided. If manual cuts are carried out, it should be ensured that an even ideal cutting depth is maintained to prevent unnecessary scoring of the polyester film. The foam/fabric lamination on the backside can be removed if it’s necessary for an easy fastening and closure of the clamping bars.